Very proud of this collaboration with the very talented street artist Sr.X. Our styles and techniques are different but actually work very well together. 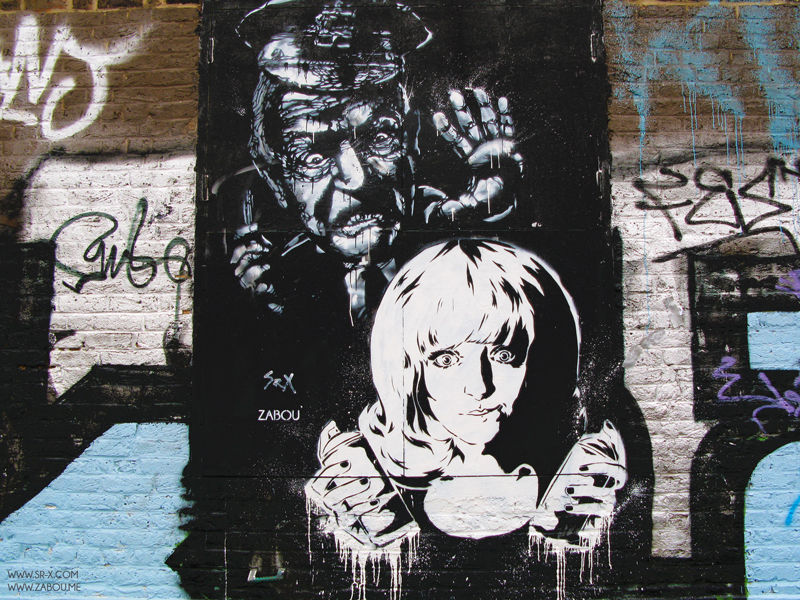 The piece was painted along Regent’s Canal in London, a famous spot for graffiti artists since the 80’s. It was filmed by a crew of journalists from France 5 (one of the French’s national main TV channels) for a documentary about ‘London by Night’ to be broadcasted on the 7th of December. Red Pepper is an independent ‘red, green and radical’ magazine based in the United Kingdom. Their issue n°192 (October-November 2013) was all about surveillance in our modern society. The issue features two photos of my stencils, see below. 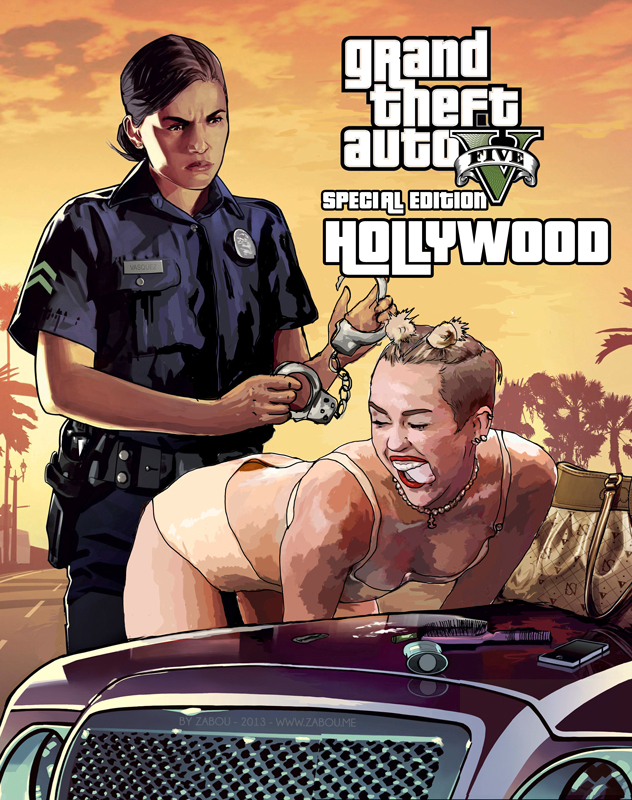 After the success of my first GTA parody featuring the Pope, I’ve decided to draw a new illustration about Hollywood using one of the official posters of the game. You will recognise Miley Cyrus in one of her latest ‘performance’ at the VMA, she gives us a pretty good idea of what the star system can do to a anyone. GTA V: Hollywood by Zabou is licensed under a Creative Commons Attribution-NonCommercial-NoDerivs 3.0 Unported License. LESS CLEANING, MORE STRET ART! My first piece near Brick Lane in East London, famous for its vintage shops, street art, bars, bagels and curry restaurants.